The body knows exactly how to grow, regulate, repair, and defend itself when given natural, premium nutrition and the right amount of water, sleep, fresh air, and exercise. 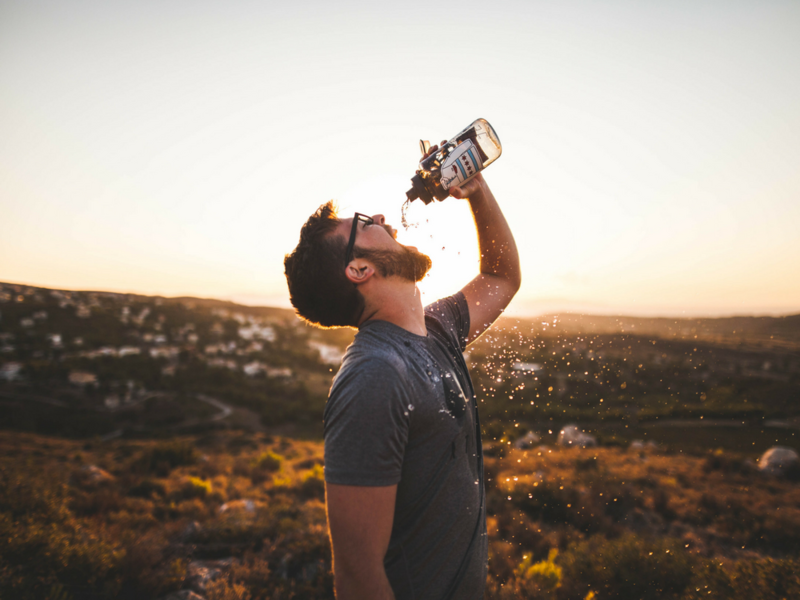 Without a doubt, proper daily hydration is the single most important complementary habit you can develop to support your quest for optimal health. Get hydrated, and stay hydrated! The human body is like a car that needs the proper amount of fluids to operate on all cylinders. When a car doesn’t get necessary fluids, it begins to recycle the fluids it has and to operate on “sludge” (overly used oil, etc.). At some point, the engine begins to run in a less than optimum manner, and the rest of the vehicle begins to break down. Just like that car, our body needs to have all the necessary fluids circulating and to eliminate waste matter. Water is the key fluid that will keep the body operating well and help to eliminate wastes. What benefits can you expect from proper hydration? More efficient elimination of waste…to name just a few. “HOW TO” GET HYDRATED: Use a 16-oz water bottle; focus on your goal of drinking one-half of your body weight in ounces of water each day. For example, if you weigh 200 lbs, your goal is to drink 100 ounces of water each day, which calculates to a little over six 16oz. water bottles a day. That may seem a little overwhelming, but breaking your goal into thirds-morning, afternoon, and evening-will make it easier. So if you weigh 200 lbs, you would drink two water bottles in the morning, two in the afternoon, and two in the evening. We recommend that you drink more in the morning and afternoon as fuel for the day. Take note of your experience. Initially, you will need to eliminate more often, until your body is fully hydrated. But note how your energy, weight, and other physical factors are affected during the process. .